Homeopathy is a natural pharmaceutical science that uses very small or infinitesimal doses of substances from all three realms of nature – plant, mineral and animal. These activate the body’s nervous system to initiate the healing response and cure disease naturally, gently and promptly. The science of Homeopathy was founded in the early 1780s by a German physician and chemist, Dr. Samuel Hahnemann, while doing research into the toxicological effects of the medicines of his time. Dr. Hahnemann discovered that a specific dilution of a substance would remove the symptoms that substance was capable of evoking. Through numerous experiments, he advanced the theory that “likes are cured by likes” and today it is a verified law of pharmacology: “The law of similars”. An example of this would be someone slicing onions. The eyes will burn and water profusely and the nose too, may water and sneezing may occur. Someone with hay fever may suffer with those same symptoms, and as you might expect, one remedy for this condition is the onion, diluted to a very small dose. What Type of Conditions can Homeopathy Treat? 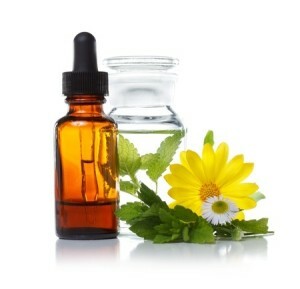 Homeopathy activates the body’s own healing processes in both the physical and mental/emotional areas. The range of problems in which Homeopathy can be effectively utilized is extensive and includes first aid, acute illnesses, and all manner of chronic conditions. How Soon Can Results be Expected? This can vary widely, depending on whether the illness is acute or chronic and what the underlying cause of the condition is. In acute illnesses, the appropriate remedy can act within minutes. It is commonplace to see a child who is screaming out in pain with an earache, drop off to sleep in one or two minutes after a dose of the appropriate remedy. Though astounding improvements often take place, do not be discouraged if these instant improvements do not occur in chronic or long-term conditions. It may take as long as 1 to 2 months for noticeable improvement in chronic cases.